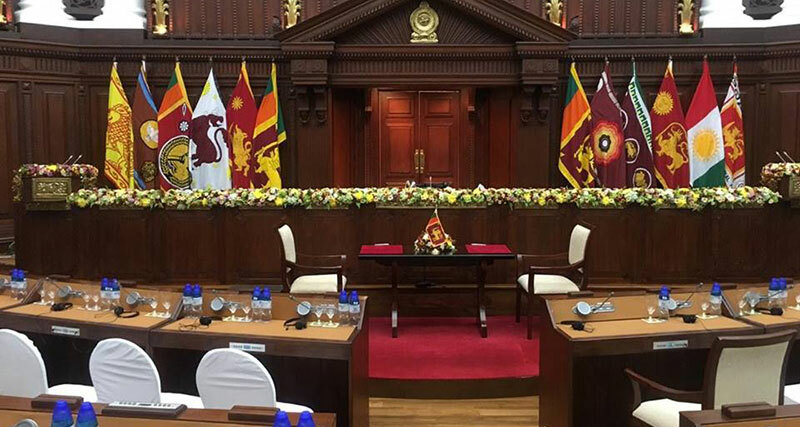 lanka C news | එන ජනාධිපතිවරණයට පොහොට්ටුවෙන් රාජපක්‍ෂවරයෙක්ම පමණයි..
එන ජනාධිපතිවරණයට පොහොට්ටුවෙන් රාජපක්‍ෂවරයෙක්ම පමණයි..
අන්න නියම කතාව මන්ත්‍රී තුමා. කෙලින්ම කියන්න අපිට ඕන දෑහිතකාමී නායකයෙක් මිසක් වෙන්දේසි කරුවෙක්, යාචකයෙක්, අමනයෙක්හෝ හෝ රටගැන දයවක් නැති වසලයෙක් නොවේ. මේ ඉන්න ගස්ගෙම්බන්ට වැඩිය රාජපක්‍ෂ සහෝදරයෝ රටටත් ජාතියටත් ආඩම්බරයක්…. Jaya way Bayya jayawewaaaa …. 1948දී මෙරටට නිදහස ලැබෙන විටම බලය බෙදුවේ නම් අද මෙම ප්‍රතිවිපාක ඇති නොවන්නේ යයි ඇමැති ලක්‍ෂ්මන් කිරිඇල්ල මහතා පවසයි. “””එජාපය දිගටම සිටියේ බෙදිය යුතුය””” යන ස්ථාවරයේ බවත් පළාත් සභා ඇති කලේද තම පක්‍ෂය බවත් ඔහු සදහන් කලේය. ඔහු මෙම අදහස් පල කරන ලද්දේ නව ව්‍යවස්ථාවක් සදහා වූ යෝජනාවලිය සම්බන්දයෙන් අදහස් පල කරමිනි. “””””””””””” රට බෙදන පක්‍ෂය..”””””””””””” ! 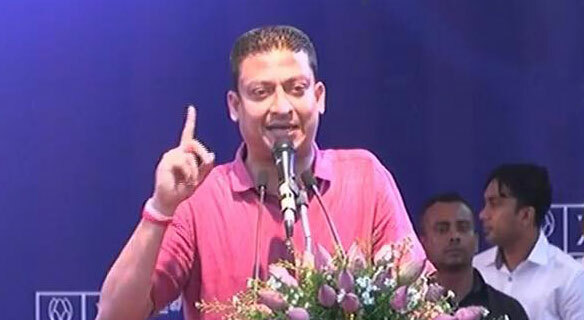 රටට ආදරයක් තිබේනම් “””එජාපයට”” චන්දය දීමෙන් වලකින්න..! Ae rajapakshavaraya Gothabayama viya yuthui. අලිකොටිසීනු හවුල තීරනාත්මකව පරාජය කල හැක්කේ ශ්‍රිලනිප සහ පොහොට්ටුව එක් උනොත් පමනක් බව 2018 පෙබරවාරි පලාත්පාලන චන්දෙදි ඔප්පු උනා. 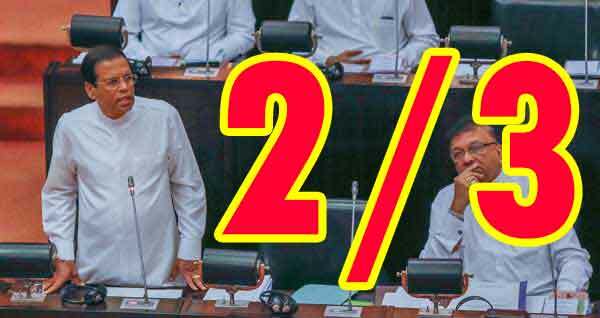 ශ්‍රිලනිප (14%) සහ පොහොට්ටුව (44%) සංධානයක් ලෙස එක් උනොත් (58%) අති බහුතර ආසන සංඛයාවක් ගත හැකි බවත් ජනාධිපතිවරණය දිනිය හැකි බවත් ඔප්පු උනා. බොරැ කය්ය එපා. 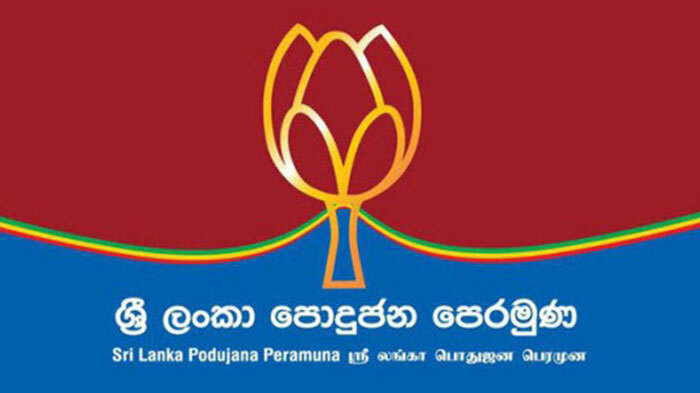 අපේක්ෂකයා නියම දිනයෙදි තෝරමු.තෝරමු. එතෙක් ‘අලිකොටිසීනු’ හවුල පරාජය කල හැක්කේ මහින්ද සිරිසේන එකතු වී හදන සංධානයටය් බව තේරැම් ගනිමු. 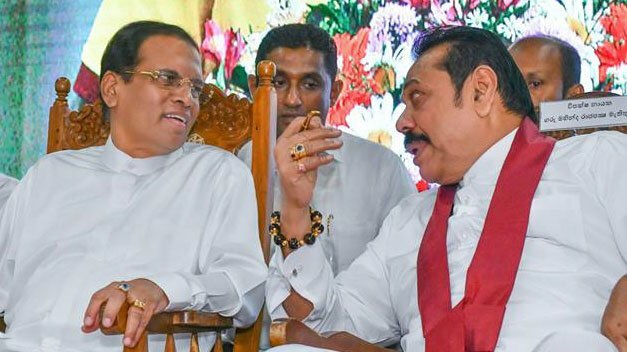 I agreed with Banda, Mahinda and Maithree should combine and fight against UNP and protect our Mother Land from federalism. The crux of matter is nation that Independence, Sovergrinity, Territorial integrity and Democracy is key question has to address by any Presenditial candaitures by in 2020. 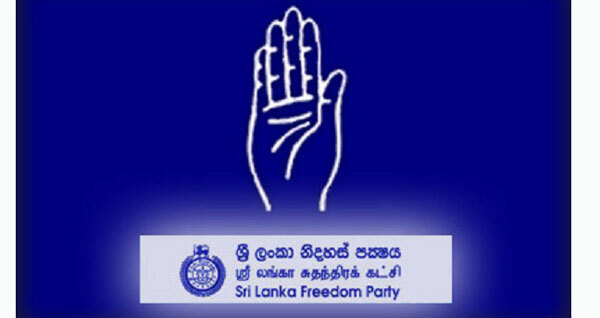 Well UNP or related or affiliated candaitures of P…. 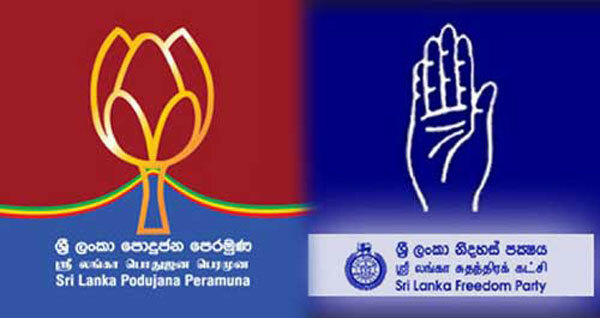 is out because they and for Eealm politics back by TNA, LTTE and JVP line of politics . President MS has betray 2015 January 8 mandate that nation sovereignty to foreign hegemonies .He has to self-criticism by himself to the public. an agreed for New Social Contract with majority people of Island. MS as current President has look back what he did 2015 January 8th was against that Nation sovereignty. How to address this key issue by MS. What I suggest we have to grand coalition of Tamils, Muslims and other progressive forces to united for Demarcation old into New Democratic Constitution vital interest of people of all nationalities of Sri Lankan. That proposed Constitution is represtantion of nation state should be strengthen by center power of must be one center ,not that many centers .Nation democratic revolution is base on sustsnsbility of capitalism of Democracy and Development . 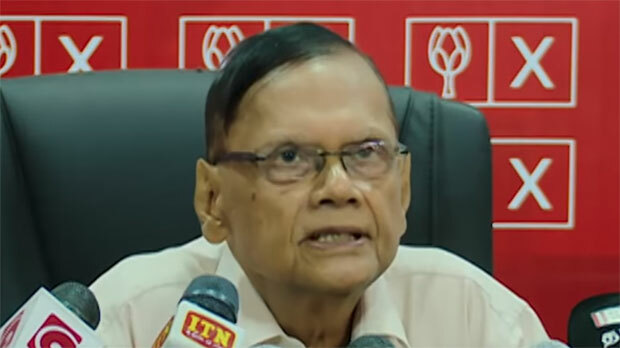 චමල් රාජපක්ෂ ජනාධිපති කල යුතුය. ඉන්පසු පාර්ලිමේන්තුව විසුරුවා හැරිය යුතුය්. මහා මැතිවරණයක් මගින් 2/3 බලයක් ලබා 1978 ව්‍යවස්ථාව අවලංගු වන පරිදි අලුත් ව්‍යවස්ථාවක් ගෙන ආ යුතුය. ව්‍යවස්ථාව සඳහා සෑම දිස්ත්‍රික්කයකම රජයේ සේවක, තෝරාගත් ව්‍යාපාරකයින්ගෙන් යුත් කමිටුවකට ඉදිරිපත් කර එකිනෙකට ඇතිවන ප්‍රශ්න සඳහා සැලකිලිමත් වී යම් විසඳුම් ඉදිරිපත් කල යුතුය. ඒ මගින් ලංකාවට ජාතික ප්‍රතිපත්තියක් සැදිය යුතුය්. සිංහල දෙමල මුස්ලිම් විද්වතුන්ගෙන් යුත් කමිටුවක් මගින් ගෝඨාභයගේ නායකත්වය සහිත වෙනත් විද්වතුන් ඇතුලත් කමිටුවක් මේ සඳහා යෝග්‍යය. 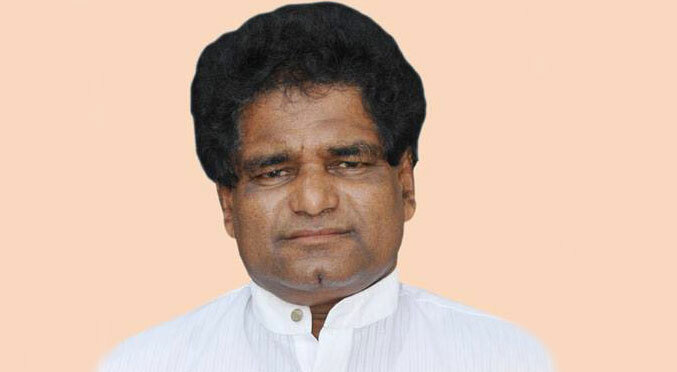 ප්‍රාදේශීය සබා අහෝදි කල යුතුය. ඉන්පසු ගෝඨාභය ජනාධිපති කිරීමට ඇත්නම් හොඳය එසේ නැත්නම් ඔහු අගමැති විය යුත්තේය. 1978 ව්‍යවස්තාව පුළුස්සා දැමිය යුතුය. දැනට ඔහොම යන්. නියම වෙලාවට gr ව ගේමු. පොහොට්ටුවේත් ඉන්න හොරු ටික ඒකට බයයි.